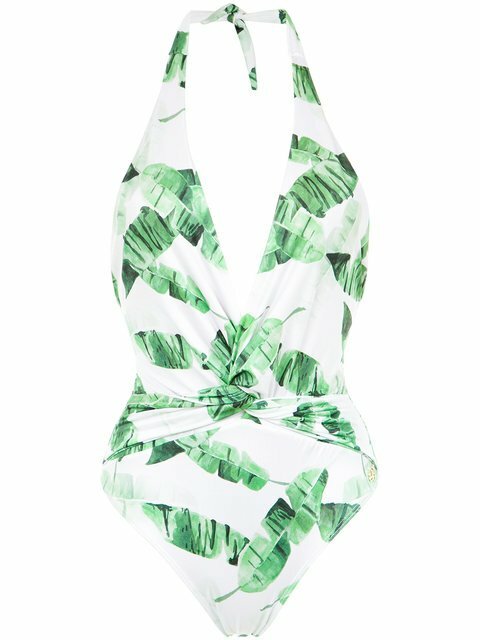 These are the swimsuits you should take to the beach, pool or wherever—right now. Red cut-out swimsuit from Oseree. Swimwear must be tried on over your own garments. Emilio Pucci was a master of prints ad this stunning bikini set more than lives up to the label’s legacy. Expertly crafted in Italy with superb attention to detail, this timeless two-piece set comes with a classic triangle top and low-rise briefs - great for mixing and matching. Adjust the ties at your hips and neck to create the perfect fit. Swimwear must be tried on over your own garments. Multicoloured bandeau top bikini from Hunza G.